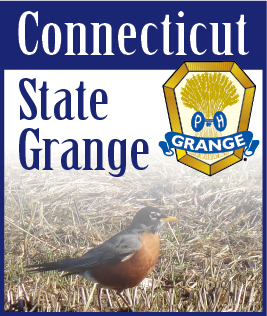 Have you ever been talking with some about the Grange and heard them ask, "What's in it for me?" Maybe you've even thought this yourself. There are many people out there that are only interested in joining the Grange if they know they're going to get something out of it. Don't fret! The Grange has a lot to offer and you can answer that question by quite simply saying, "You get from the Grange what you put in to the Grange." Grangers all around the country put countless hours in to Grange projects and programs. We volunteer our time and donate some of our hard earned money. Grangers care about other people, their community, and doing the right thing. So when you hear this "Why?" question posted to a Granger, you're going to hear, something like, "Because it makes me feel good. ", "I love helping people. ", "It was the right thing to do. ", or "It needed to be done." If you are passionate about family, then the more time and effort you spend in family projects and programs in your Grange, the more you and your family will benefit from those efforts. The same is true for just about every other department or program in this great fraternity. The more you put into legislative policy, suppers, the Youth and Junior Grange, the women's activities, and the meetings, the more you will get out of your efforts. If you want, some of these efforts may even transfer to the county, state, or national level. The same can be said for those that apply negative energy and are more inclined to criticize the Grange. The negativity, and all that comes with it, can breed more negativity and draws others into doing nothing or worse, fighting internally. But all that bad stuff can be overcome with a positive attitude and with constant and clear communications between all those involved. Remember, the Grange is a "grassroots" organization. Which means, that the everyday, common Granger-YOU!-who attends a meeting, presents a resolution, and persuades people to help in programs that are important to you, can change things! To top it all off, these skills can be translated to helping outside of the Grange as well. THAT is something people can feel proud of and is certainly an answer to the question, "What is in it for me?" I hope that this has made you think about what you can get out of the Grange. Think about the differences that the Grange has made in your community. What differences has made in you personally? Then you'll have an answer to "What is in it for me?"